BATMAN4EVER, 08 Feb 2012this phone HD support? 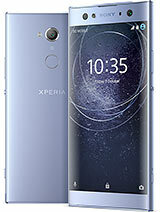 like the higher xperia? antone answer.. thank you.This phone is not capable of hd(1280x720p) but the VGA (640x480p)video capture resolution of Xperia X8 is not bad, better than samsung galaxy mini,samsung galaxy y and samsung galaxy fit that only have QVGA(360x240p). Spevky, 05 Feb 2012This is a very good phone i had it over 4 months now and i have ICS thats android 4.0.3 and it... morehow to upgrade my x8 adroid 2.1.. pls help me..
this phone HD support? like the higher xperia? antone answer.. thank you. hey! wazz up! can yo, 05 Feb 2012hey! wazz up! can you teach me on how to upgrade android 2.1 to ginger? You may check this link. I am using this customized Gingerbread ROM. how to change the storage into memory card? Like it very much. Already flashed custom rom more than 20 times n bricked 4 times, thumb up x8!!!!!!! Most stable custom rom=gingerDX v.22(gingerbread 2.3.7). is this phone support HD? kwame, 04 Feb 2012Pls I need help.how do l get to my contacts on my son card. I have tried to import it but it d... morecheck this link if you want to transfer your contacts from sim card to phone.. Anonymous, 03 Feb 2012most of the galaxy y that upgraded to smart net is defective... but x8 it can upgraded to 3.2.... morehow to upgrade on 3.2 plzzzzzz tell me. please help me... is this phone ok?? i mean the features? (like games, sounds , video, internet browser?) because they always compare this phone to samsung galaxy Y,pls. answer.. thank you. SoLzz, 28 Jan 2012Hey hav you tried any other kernal and roms?? Anything better?im just using a stock kernel. I am afraid to brick my phone. For now, my daily ROM is AtiFroyo v5 for Froyo version and for Gingerbread version, I would go for Stornmix. SoLzz, 31 Jan 2012Me too dude.....just dont want to crash. did you check mutitoch......check xda...for some i... moremy X8 is synaptic that's why i have a fake dual tocuh for customized ROMS. You make check the xda forum on how to know if you X8 is a cypress or synaptic. X8 is a very good mobile. dont compare Galaxy y with x8. And There is no Zooming option so no need to find. And this is not java based phone so you cant able to install java apps. And Battery is much better for me. Signal is so better. Dont give useless opinion for this mobile. This is a very good phone i had it over 4 months now and i have ICS thats android 4.0.3 and it is great. Can Achive on gingerbread 1500+ Quadrant Benchmark(Overcloacked to 802mhz). It has dual touch and it is just great.